Thousands of innocent civilians fled their homes due to the conflict between government forces and the local rebels, crowding themselves inside evacuation centers while waiting for help to come. To help address their basic needs, GN Power Kauswagan (GNPK), together with the Ayala Business Club, Ayala Young Leaders Alumni Association, Philippine Red Cross, DSWD, PNP, and the military responded by distributing relief goods to the evacuees and the different units of the Armed Forces of the Philippines. The group also donated P2 million worth of hospital supplies and equipment to a local hospital in Marawi. There, they conducted a blood donation drive as well as psychosocial therapy sessions for the evacuees. School supplies were also distributed as some students lost theirs when they were forced to vacate their houses. 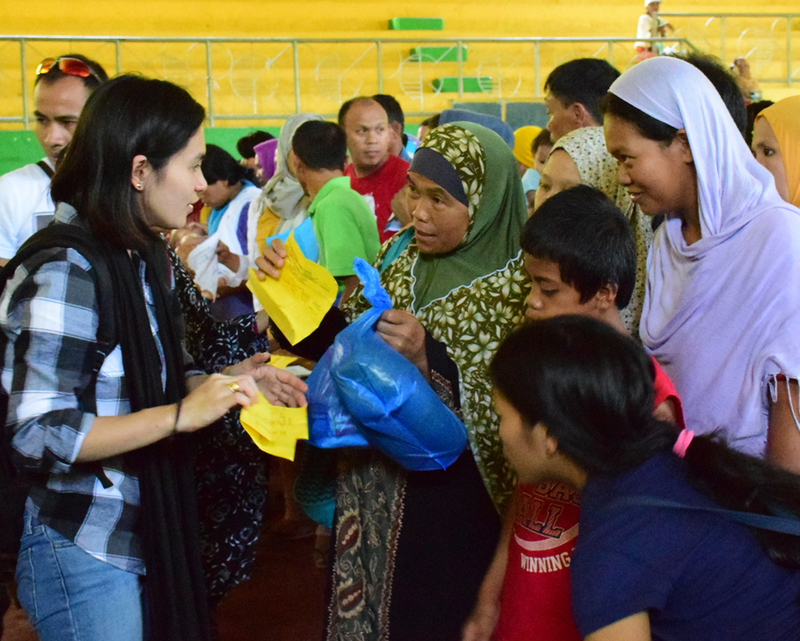 In-kind donations worth P1.25 million from various donors, including those from GNPower and GNPK employees, were distributed to the evacuees in six municipalities. Over 4,000 individuals were served by the group’s consolidated relief initiatives.